Process analyzers measure the concentration of specific substances for the purpose of measuring and/or controlling those concentrations in a process stream. Safety analyzers detect the presence of dangerous concentrations of specific substances to warn personnel of threats to life or health. 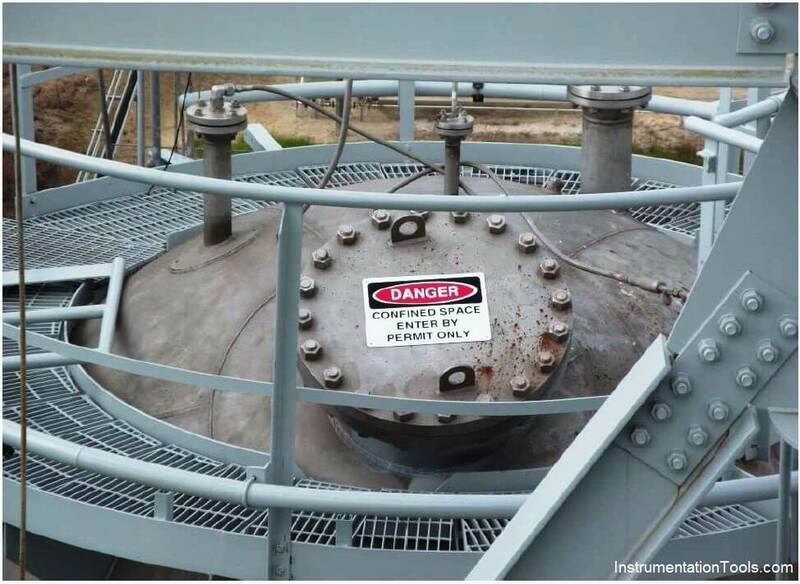 While there is virtually no end to the different types of process analyzers in existence, with new analyzer types invented to meet the needs of process industries, safety analyzers are rather restricted to those substances known to pose health hazards to human beings. Safety analyzers are designed for fast response, rugged construction, and ease of portability. As such, they are usually not as accurate or as sensitive to slight changes in concentration as process analyzers. The sensing technologies used in safety analyzers are often very different from those used in process analyzers. You will never, for example, see an NDIR instrument with a Luft-style “microphone” detector used for portable safety applications. The high accuracy of a Luft-style NDIR instrument is not necessary for safety, and the bulk (and fragility) of such an instrument makes it completely impractical as a portable device. Most portable gas analyzers such as this employ electrochemical sensing “cells” generating a small electric current when exposed to the gas of interest. Such technologies may not always be the most accurate or the most sensitive, but their characteristics are well suited for portable applications where they will be exposed to vibration and must operate on battery power. 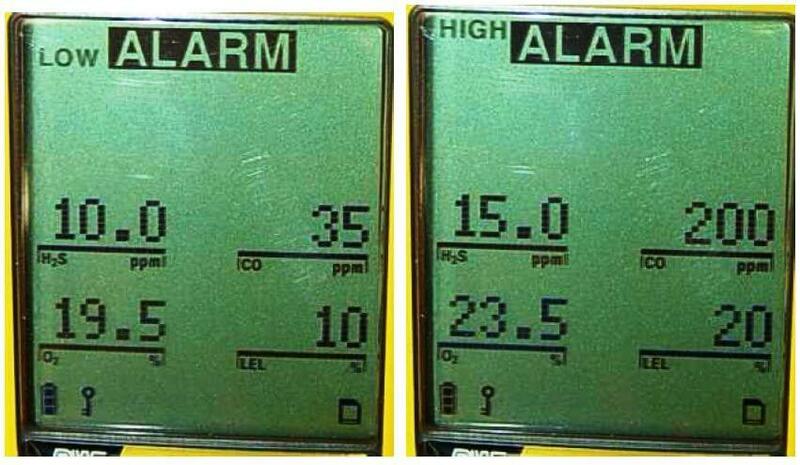 The two most dangerous gases detected by this device – hydrogen sulfide (H2S) and carbon monoxide (CO) – are measured in units of parts per million, or ppm. The next two detected gases – oxygen (O2) and combustibles (“LEL”) – are measured in units of percent (which may be thought of as parts per hundred). Note the limited shelf life of this span gas: only one year between its date of manufacture (November 2007) and its expiration (November 2008). Relatively short expiration periods are common with chemical standards used for analytical calibration, owing to slow chemical reactions between the constituent compounds over time altering the composition of the mixture. 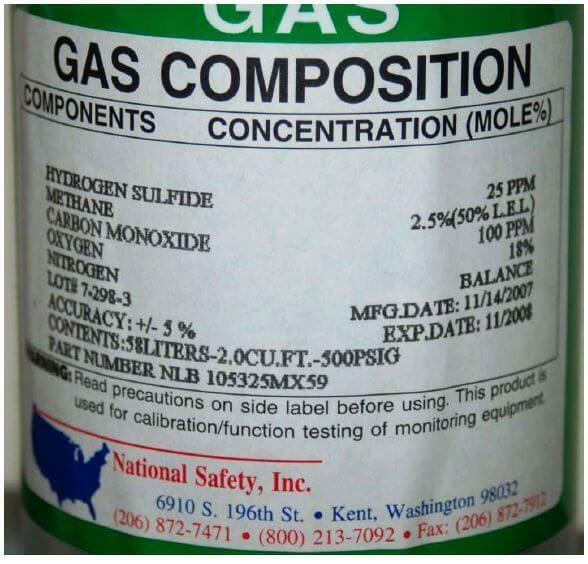 In this test gas cylinder, for example, the relatively high concentration of oxygen gas (18%) will over time oxidize the hydrogen sulfide, methane, and carbon monoxide gases, resulting in decreased concentrations of all these gases, with the production of water vapor and other oxides (e.g. CO2) inside the gas cylinder. 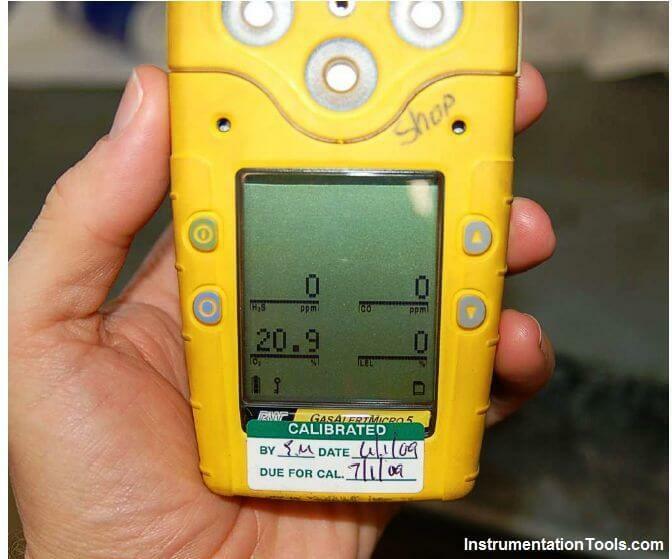 Also Read : Why Negative Readings in Gas Detectors ?